Welcome to Hills & Co Customs Auto Restoration. My name is Justin Hills and I am the proprietor of a dedicated workshop specialising in restoring and building classic and custom vehicles to award winning standards. 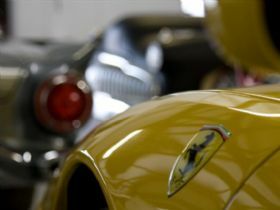 I have been in the industry for nineteen years and always had the desire to build great cars for customers and myself. I completed double apprenticeships in England as both a panel beater and spray painter. I was lucky enough to be taught by a number of old school tradesmen in England that had restored and prepared numerous cars for the Pebble Beach Concours d Elegance. After perfecting my trade in England we migrated to Australia in 1996. After owning a successful smash repair business in Taree, NSW for 5 years I sold up so I could follow my passion and dedicate my skills to classic and unique vehicles. After a stint contracting in Sydney restoring classic cars, appropriate premises became available in Taree and with one and half jobs I launched Hills & Co Customs Auto Restoration in 2006. My vision has always been to be a car builder, have a shop full of cool cars and to perform body off restorations to the highest professional standards. I always knew that is was going to happen and through hard work, assembling an outstanding team and building a reputation we currently have cars in the workshop from Darwin, Cairns, Victoria, Canberra and Sydney. 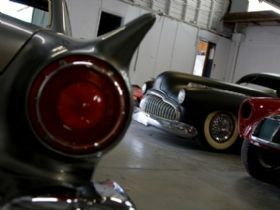 The workshop team is made up of seven tradesmen, including myself that all share my passion for old cars. 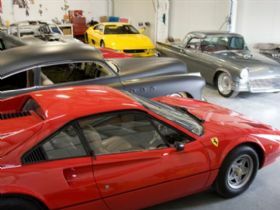 The workshop can accommodate twelve cars comfortably and includes all the equipment necessary to perform Concours level restorations, fabrication of customs, replica movie cars and street machines. The expertise and knowledge amongst the team covers all sorts of cars and the diversity of the output since the business started already covers Australian classics, American muscle, faithful restorations of English and Italian sports cars and award winning street machines. 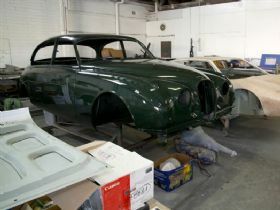 Hills & Co Customs Auto Restoration is a born and bred restoration shop. We provide a range of services to clients that include restoration to their specifications, input on a custom project, advice on what to look for if a client has not purchased a car yet through to project management of the entire job. We provide a full complement of digital photos of the project and welcome owners to check on the progress by visiting the workshop. We go to painstaking length on all aspects of a project and nothing is left untouched. Job satisfaction is derived from doing the best we can. We take pride in the knowledge we are very thorough and we care a lot about clients cars that is evidenced by our cars winning awards, appearing in magazines and taking their rightful place in the most discerning of collections. 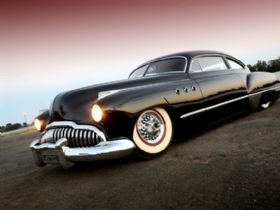 Another passion of mine is forties and fifties cars from America and at heart I am an old rocker and love all things from this era. On the cover of Unique Cars Magazine in March 2009 my 1949 Art Deco Buick Custom, is featured along with a five page article detailing the build and the cars unveiling at Summernats in Canberra. 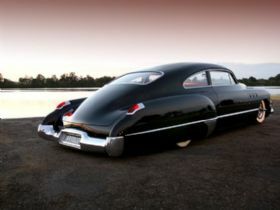 After picking up awards for Best Bodywork and Best Custom in its class at Summernats the car made the trip to the Kustom Nationals at Phillip Island where it was crowned Australias Most Beautiful Kustom. 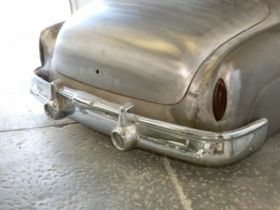 There are a couple of other projects lurking in the shed and a 1958 Oldsmobile currently in transit that may see some attention when time permits. 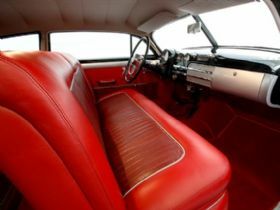 Our website has a photo gallery that includes some of the cars we have worked on and you can see how cars first appear at our door, the restoration and the end result. If you are after a professional restoration to exacting standards you are welcome to discuss your requirements with us and you can call or drop by the workshop Monday to Friday between 7am and 4.30pm. We are also open Saturday 8am to 12pm. We look forward to turning your dreams into reality.